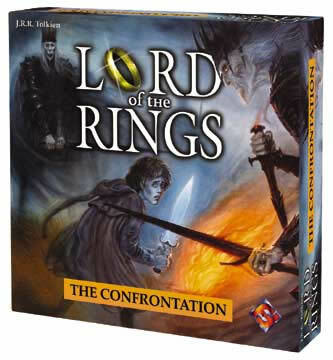 The object of the games is for the Fellowship must seek to bring Frodo to Mordor, and the dark lord Sauron must seek to capture Frodo and the One Ring before Frodo reaches Mt. Doom. This game is like Stratego. Each side has nine tiles that show the characters fighting value plus a special power. 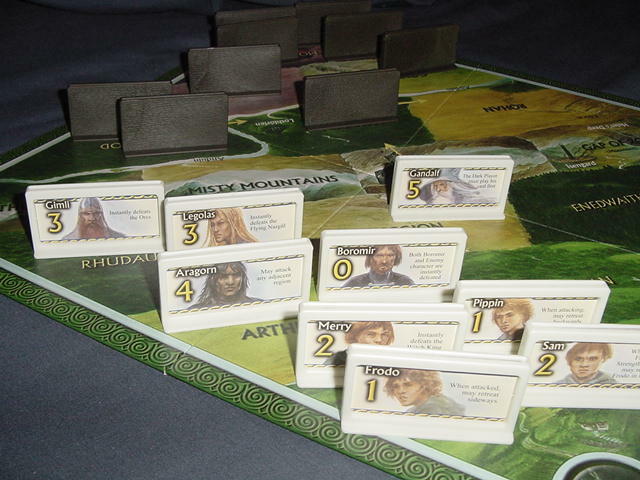 Each player arranges their tiles on opposite sides of the battlefield. Then each player takes a turn moving one Tower one space forward. Once a player enters the other players space, the battle takes place. Like Stratego, certain characters can instantly defeat the other. Otherwise, both sides play a card. These cards enhance the characters strength. The Dark player wins by getting three fighters to the Fellowship home space. The Fellowship wins by getting Frodo to the Darks side home space. 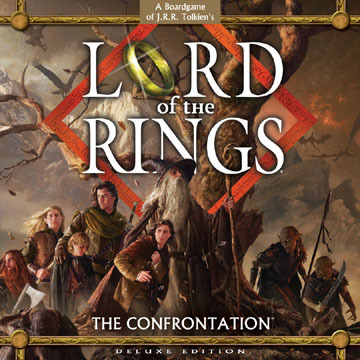 Update: There is now also a Deluxe version of The Confrontation. Some of the game pieces.